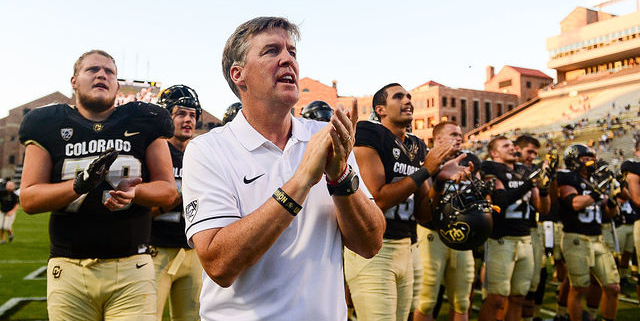 Mike MacIntyre, head coach of the University of Colorado Buffaloes, has been named the Walter Camp 2016 Coach of the Year. The Walter Camp Coach of the Year is selected by the nation’s 129 Football Bowl Subdivision head coaches and sports information directors. MacIntyre is the second Colorado coach (Bill McCartney, 1989) and the fifth from the Pac-12 to earn the honor. MacIntyre joins Chip Kelly (2010, Oregon), Bruce Snyder (1996, Arizona State), McCartney and Frank Kush (1975, Arizona State) as Walter Camp Coach of the Year recipients. Under MacIntyre’s direction, the Buffaloes recorded a 10-2 record and won the Pac-12 South Division title (8-1). The Buffaloes hold a No. 6 national ranking in the latest College Football Playoff poll. Colorado will play Washington in the Pac-12 Conference championship on December 2. Colorado is the just the ninth Power-5 team since 1972 to win 10 or more games after finishing the previous season with four or fewer victories. The Buffaloes have reached 10 victories for the first time since 2001. On October 22, Colorado became bowl eligible for the first time since 2007 after beating Stanford, 10–5. Two weeks later, they clinched their first winning season since 2005 with a 20–10 victory over UCLA. On November 26, the Buffaloes defeated Utah, 27-22, and clinched the first Pac-12 South Division title. 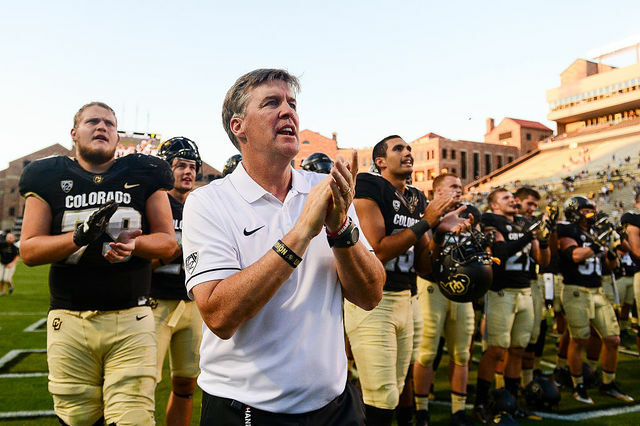 Sixteen Colorado players were recently honored as All-Pac-12 selections, and MacIntyre was named the Pac-12 Coach of the Year after the Buffaloes were picked to finish last in the division prior to the season. A native of Miami, FL, MacIntyre attended Vanderbilt where he played two seasons in the defensive backfield, and ultimately graduated from Georgia Tech with a degree in business management. He went on to earn a master’s degree in sports management at University of Georgia. He has served as an assistant coach at both the collegiate and professional levels, including stints at Ole Miss, Duke, the Dallas Cowboys and New York Jets. He was hired to his first collegiate head-coaching position at San Jose State in 2010, and he led the Spartans to a bowl appearance and their first-ever top-25 final national ranking (#24) in 2012. 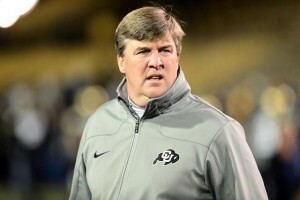 He was named head coach at Colorado on December 10, 2012. Coach MacIntyre, along with the members of the 2016 Walter Camp All-America team and other major award winners, will be honored at the organization’s national awards banquet, presented by KeyBank, on Saturday, January 14, 2017 at the Yale University Commons in New Haven. Walter Camp, “The Father of American football,” first selected an All-America team in 1889. Camp – a former Yale University athlete and football coach – is also credited with developing play from scrimmage, set plays, the numerical assessment of goals and tries and the restriction of play to eleven men per side. The Walter Camp Football Foundation – a New Haven-based all-volunteer group – was founded in 1967 to perpetuate the ideals of Camp and to continue the tradition of selecting annually an All-America team. The Walter Camp Football Foundation is a member of the National College Football Awards Association (NCFAA). The NCFAA was founded in 1997 as a coalition of the major collegiate football awards to protect, preserve and enhance the integrity, influence and prestige of the game’s predominant awards. The NCFAA encourages professionalism and the highest standards for the administration of its member awards and the selection of their candidates and recipients.